Shown above are proud parents Marsha Pratt with first place oratorical contest winner George Jr. and dad George Pratt, Sr. 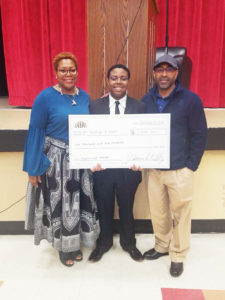 The Upsilon Lambda Chapter of Alpha Phi Alpha Fraternity, Inc. held its 10th Annual MLK Oratorical Competition last weekend at Westside High School. 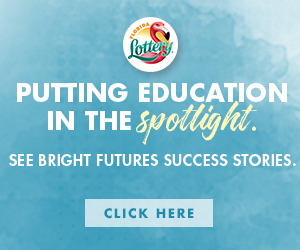 Seven high school students from across Duval County participated in the competition. This year, the topic of their speeches was: “50 Years After the Death of Dr. Martin Luther King, Jr.: Where Do We Go From Here?” All contestants received certificates and recognition for a job well done. 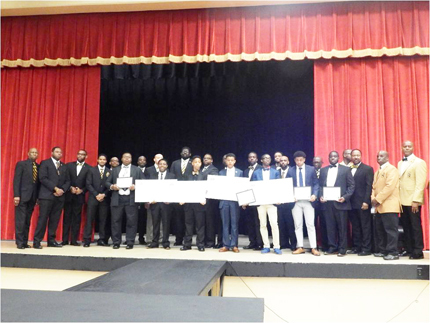 In addition, there were four scholarship winners: George A. Pratt of Paxon H.S. ($1,500), Joshua Brown of Oakleaf H.S. ($1,000), Miles Sams of Episcopal H.S. ($1,000) and Jaylan Chambers of Sandalwood H.S. ($500). First place winner George Pratt is no stranger to the microphone. The noted teen phenom now in his junior year is also a young preacher. 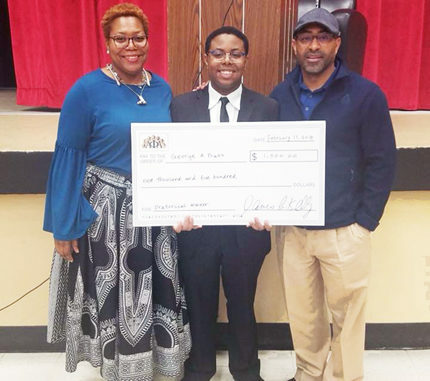 He intends to use his talents for a career in law with plans to attend Morehouse in the fall of 2019.